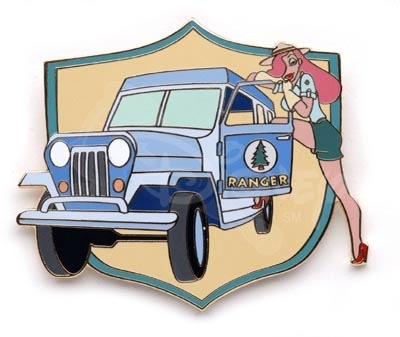 This was the first ever pin to be released of Jessica Rabbit as a Park Ranger. It is from a scene in the cartoon short, Tummy Trouble. 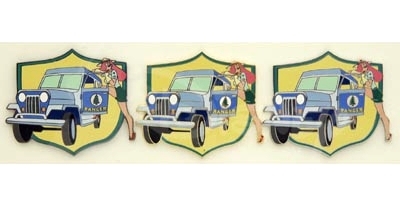 This pin was also later offered for sale as a one-of-a-kind Artist Proof Set of black, sliver and gold pins.